On a sunny September day in Peru, Indiana, three people circle up around a giant crossbow. Like the barn next to it, the apparatus is painted red; down its length, an orange and silver lightning bolt has been jauntily applied. To one side of the crossbow is its creator, Brian Miser. A former Ringling Bros. performer, the wiry and youthful 52-year-old built his brand as the “Human Fuse” by becoming the only person in the world to shoot himself out of a cannon while fully engulfed in flames. 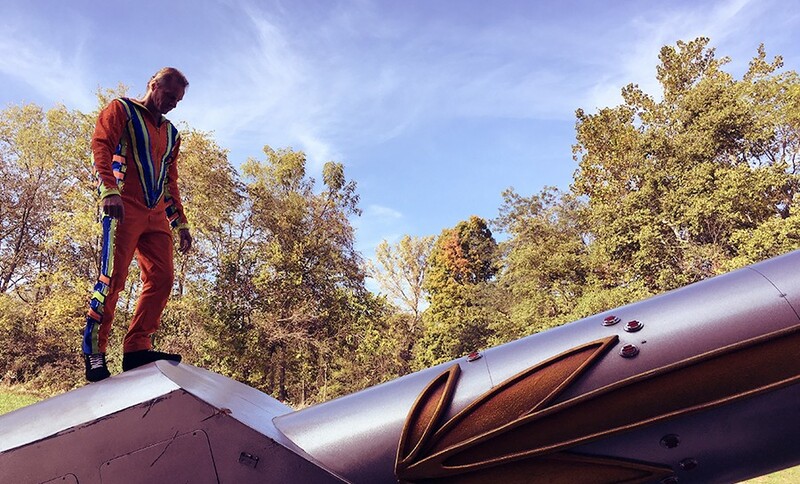 At the back of the crossbow is his wife, Tina, who performed alongside her husband from time to time — a pair of his-and-her human cannonballs, launched simultaneously. Joining the Misers is Kristen Finley, a 36-year-old acrobat from Los Angeles dressed in a tight black tank top, leggings, and sneakers. Following a 12-year career as a professional trapeze artist in various circuses around the country, Finley is looking to fill a recently vacated opening for “human cannonball understudy” in the Ringling Bros. circus. The new job would allow Finley to continue working longer, since it’s actually less physically demanding than swinging from a trapeze. It would also mean a multiple-year contract with Ringling Bros., a promise of financial security so rare for this industry that Finley has taken a hiatus from her position in a national touring circus and come to this farm in Peru, Indiana, to study the craft. But before she’s ready for the cannon, she’ll have to master the crossbow, the equivalent of training wheels for human projectiles. Finley does a few stretches and then climbs aboard, her black hair swept back into a tight ponytail, no helmet. (As Miser always says, people don’t pay money to see daredevils in helmets). Per her trainer’s instructions, Finley assumes an aerodynamic position on her belly: her head forward, her arms at her sides, her feet flat against the launching plate. Miser gives the signal to Tina to start the countdown — “Five! Four! Three! Two! One! Go!” Then, she pushes a lever. With a loud electric thunk, Finley is shot high into the air, her arms angled out like wings from her sides. At the top of her arc, she tucks her head and flips gradually forward, landing safely on her back on a large inflated pad, 60 feet out from the crossbow. Though her flight and landing looked good enough to an untrained eye, the frown curling below Miser’s crooked nose (the result of a trapeze mishap at age 14) indicates his displeasure as he helps Finley off the canvas. “You’re dipping your shoulder,” he complains. Doing that in a show could alter her flight path, causing her to miss the landing pad — “which you definitely don’t want to do,” Miser warns. Finley sets her jaw. For the 67th time over the past 10 days, she returns to the platform to try again. Miser is a tough coach. But that’s because he knows that the difference between the cannon as a performance tool or a death trap is all in the details. 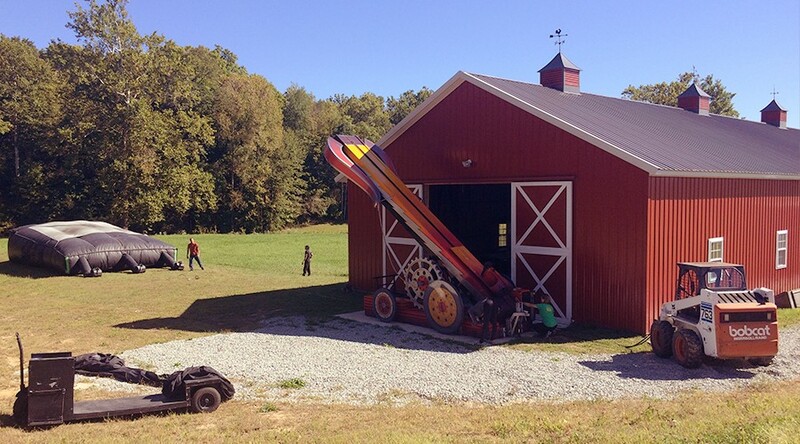 “I think I was always a daredevil,” Miser says, tinkering with the 4,000-pound cannon stored in his barn. Little Brian immediately excelled in the children’s circus. On the trampoline, he would watch a trainer do a trick, repeat it effortlessly and then go home to practice on his parents’ bed. He quickly found his calling with trapeze. After high school, Miser went on vacation with his family to Orlando and convinced his parents to let him apply for a job at Circus World, one of the area’s many theme parks. He was hired on the spot. When the rest of the family loaded up the car to go home, they left behind 17-year-old Brian, the youngest of four boys and the baby of the family. Roberta says she cried all the way. Over the next 16 years, Miser made his living as a flying trapeze artist, first for Circus World, then for Ringling Bros., then in his own troupe. But there’s a high degree of burnout in such a physically demanding job, and by 34, an old shoulder injury made him think about what was next. 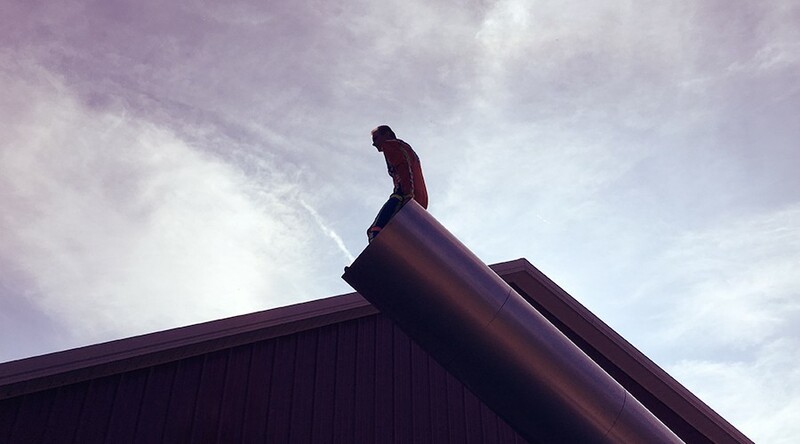 One day an idea came to him: If he could figure out how to become a human cannonball, he could work on his own and not worry about the complexities of managing a group of performers. There was only one problem: nobody was willing to train him since that could amount to training one’s replacement in such a competitive field. Miser decided he’d teach himself and paid $55,000 for a cannon from a former performer who’d been paralyzed after overshooting his target. He stored it in the bed of a pickup truck outside his RV at the trailer park in Reno, Nevada, which he called home. 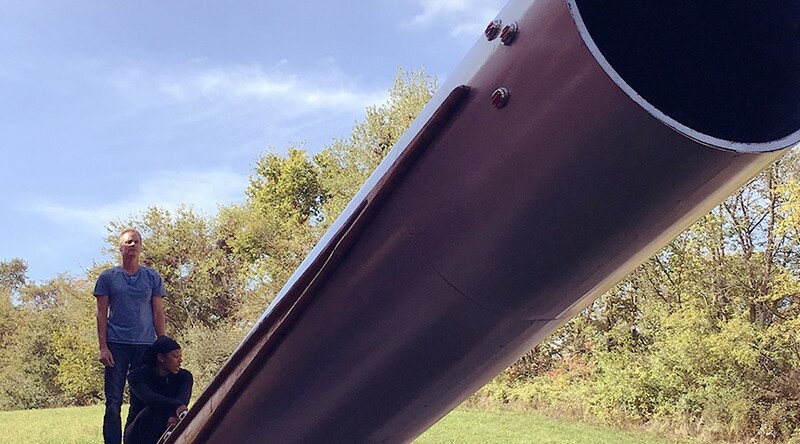 In order to teach himself the logistics of flight, Miser started testing the cannon at a buddy’s ranch, using a 138-pound flight dummy (his weight at the time) as his projectile. After 15 successfully landed trials, Miser climbed inside and tried it himself. “I don’t really show a lot of excitement,” Miser says. “But when I was in the air on that first one I yelled the entire flight. It was so exhilarating. Then we went back and drank champagne to celebrate.” Eventually, over a six-month period, he worked his way up from 20 to 120 feet. Thanks to his network of contacts from his trapeze artist days, he started quickly booking shows all over the world. And after meeting Tina in 1999 — a circus trainer in Peru whom he asked out while back home to recover from five broken bones at a show in Japan — Miser was soon booking shows for two. After marrying Tina in 2002, Miser built a double-barreled cannon so they could fly simultaneously. The fire idea came next — an attempt to up the ante and attract more business. Other people had flown much farther, but distance wasn’t possible since many of his gigs were inside smaller local arenas. He began to wonder: What if he lit himself on fire and then flew across the arena? It had never been successfully accomplished, not that others hadn’t tried. Miser began researching the right combination of textiles and materials to use for a flight-suit, face mask and gloves. On his inaugural attempt, however, Miser’s cannon nearly blew up. Many trials later, Miser honed the secrets he still guards closely, which include wearing auto-racing shoes — made to withstand fires during wrecks — and holding his breath for the entire 30-second act, so as to not damage his lungs via smoke inhalation while on fire. Upon landing, Tina would dowse him with a carbon-dioxide fire extinguisher. Apart from a handful of times when the goggles shifted due to his crooked nose and he breathed in smoke, Miser suffered no ill effects. Crowds were astonished. In 2003, the couple had a daughter, Skyler; for the next few years they continued to travel as a family on tour. When Skyler was ready for first grade, they bought a big house on a large lot. In the backyard they built a full-size trapeze rig. Miser continued to travel while Tina stayed home with Skyler, but after three years, time on the road began to take its toll. Miser quit the full-time cannonball gig and moved back to Peru. He loves spending more time with his family but says the transition has been difficult at times. When Ringling Bros. asked if he would be willing to train others, he embraced the new role. He still does private gigs by invitation; he says he makes about $200,000 on gigs and consulting. At Miser’s house about a week later, the team readies for another practice that feels more like a performance, seeing as a small crowd has gathered to watch. Miser’s mom and dad, who retired from the Air Force several years ago, are visiting from down the road. Tina’s dad, also a retired military man who lives nearby, is here with his little dog. A neighbor has dropped by with a family visiting from Denmark in tow. 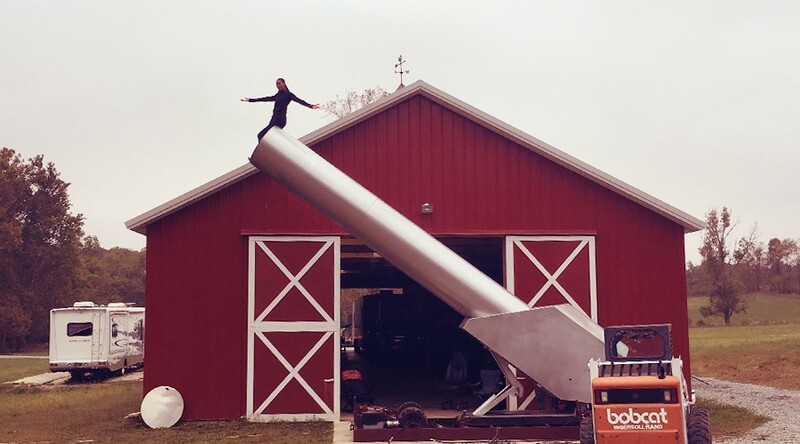 After more than 100 flights on the crossbow — the longest of which was 64 feet — today Finley will take her first authentic flight as a human cannonball — shot out of the 4,000 pound cannon Miser has been tinkering with. The landing pad has been placed 62 feet away. Finley is both confident and full of trepidation. She isn’t embarrassed to admit that her learning curve has been steep. At first she was under-rotating, not turning her body enough, dipping her head too early. Later she acquired the habit of dropping one shoulder to correct her flight path, something that is helpful to trapeze artists but harmful when flying out of a cannon. Then, just as she’d hit a groove — and moved her best distance back to almost 60 feet — she hurt her ankle running. More recently, Finley has turned things around. In Miser’s notebook is a record of every one of her flights: distance from bag, angle of crossbow, air temperature, specific notes on technique and corrections. According to his notes, Finley is flying farther now. Her form is tighter and cleaner. Miser has decided: she is ready for the cannon. Tina turns the key and switches on the cannon. The drone of the engine drowns out the nervous chatter of the small but close-knit crowd. For the spectators, she’s quirky entertainment. But for her, this is a chance to make a dream into reality. It might seem like a game to some, but she has a lot on the line. Finley plays to the small audience, making a show of hoisting herself up onto the platform before climbing up the backside of the cannon, six feet in the air. As Miser adjusts the angle of the slick aluminum barrel, Finley walks gracefully along its length, like a gymnast working a balance beam — only the beam is slowly rising. At the end of the barrel, 17 feet off the ground, the sun warms her face. Setting herself on the edge of the barrel, she opens her arms wide, acknowledging the crowd. After a small cheer, she disappears. Miser gives the ready sign. Finley rockets forward and flies through the air, a black missile against a cloudless, powder blue sky. Just past the top arc of her flight, she tucks her head, flips her body and lands perfectly on her back — her legs straight, her toes pointed stylishly. As always Miser is there to meet her at the landing pad. Though the crowd of onlookers is whooping and cheering, Miser looks concerned. Frustrated, Finley returns to the cannon for another go. This time, she flies and lands perfectly. “What did you change?” Miser asks. “I tried not to think about it,” Finley says. After Finley’s practice, it’s Miser’s turn. He’s been contracted to do a stunt to help publicize Captain Morgan’s new Cannon Blast rum. The plan is for Miser to be shot over two crowded streets in Orlando, Florida. Normally, he would be on fire, his signature, but executives nixed that idea, fearing consumers would confuse Cannon Blast with the whiskey brand Fireball. After being shot from a cannon almost 7,000 times over the course of his lifetime, it now comes naturally to Miser. But still, he hasn’t performed in more than six months, and even a fine engine needs tuning. He goes inside the barn and emerges in his flying togs, a skin-tight neon orange jumpsuit with blue and neon stripes along the sides. He’s ready to practice. Miser lines up the cannon and shoots the dummy one time to make sure the aim is true. Then, without ceremony, the Human Fuse disappears down the barrel of his cannon. More than forty years since he first took off on that hill behind his house, Miser still loves to fly. Even if he didn’t have to perform to make money, he could never give it up. Allison Copenbarger Vance is a freelance journalist based in Champaign, Illinois. She was named a finalist for the 2015 Livingston Awards for Young Journalists.